Page Builder is a powerful tool for creating and editing cms pages, blocks and dynamic blocks. It has an intuitive drag-and-drop interface and an advanced set of content management functionalities. With page builder, you can easily create and configure both product pages and categories, not only their design and layout, but also the behavior of certain dynamic elements. The introduction of this tool immensely simplifies the process of webpages creation and enables store admin new exciting capabilities. 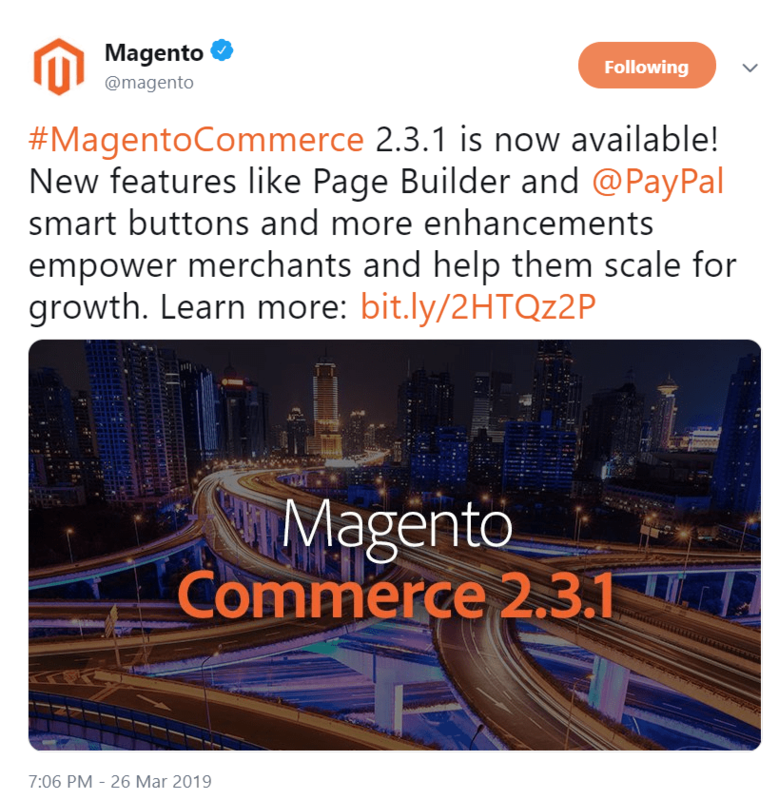 At the moment, PageBuilder is available for Magento Commerce 2.3.1 only, so you need to upgrade the current version of Magento Commerce to be able to work with this tool. Magento Open Source 2.3.1 version does not provide the PageBuilder. 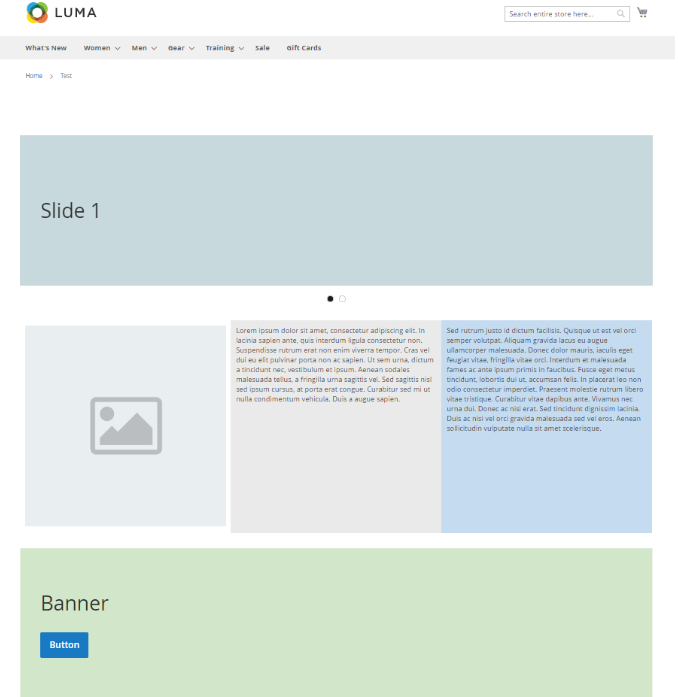 This is how the layout of the installed Page Builder looks like. 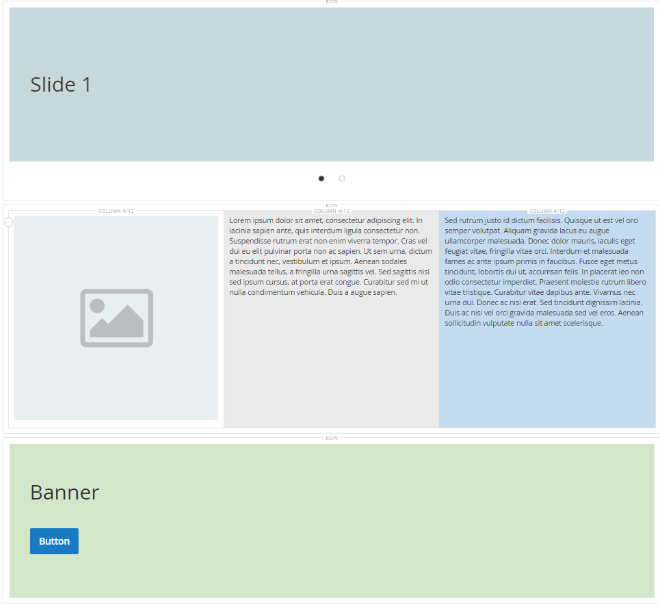 As you can see, most part of it is a clear field, representing your future page, where you drag and drop the elements. On the left, there is a set of tools for building your page, divided into several sets. Tools from the layout set are used to create the page layout by placing columns and rows. Apart from the ability to create a horizontal and vertical breakdown, we can also create tabs. With tools from the elements, you can create basic elements of your future page: text, headings and buttons. There is also such tool as divider that inserts a horizontal line and the tool for inserting html code directly. In the tab you will find the instruments for inserting such media elements into the page, like image, video, map, as well as our own banner and slider. This tool set allows to add content from in form of static and dynamic blocks. You can also create and place a block with your products using the corresponding instrument from the set. 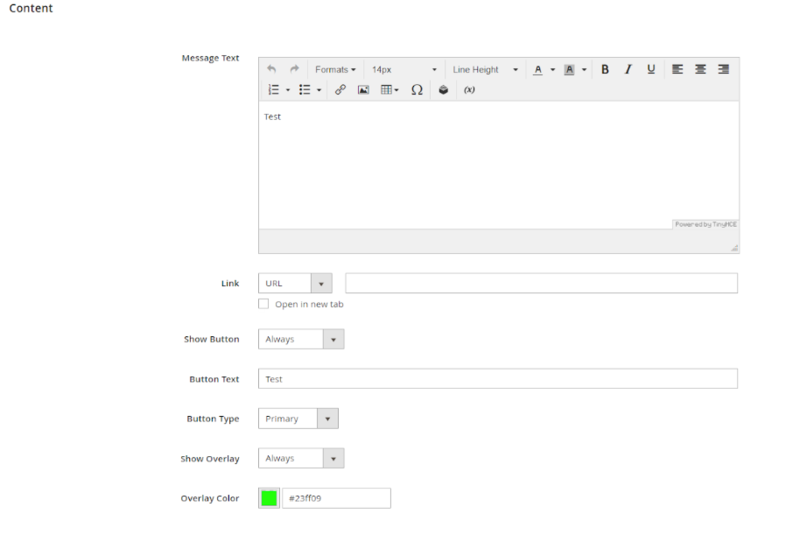 There is a wide configuration set for each page builder element, enabling you to deeply customize the look of your pages. Each element has both its own unique settings as well as advanced settings, common to many elements. Margins and Padding, where you can adjust the external and internal padding of an element. Page builder is also a useful tool for creating and configuring banners and sliders – the elements that are especially important for an ecommerce website. Before the introduction of Page builder, there was no default tool in Magento that would allow configuring slider and banners, which meant the store owner had to install a separate module for this purpose. 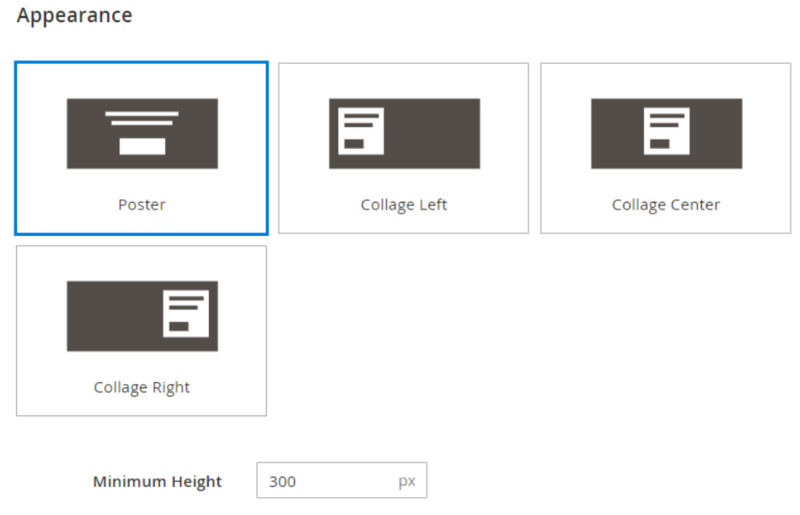 Select the type, position and the minimum height of the banner block. Background repeat – enable to repeat the background image. Overlay Color – select the color of the banner overlay. Let us now create a test page. In the header, we place a two-element slider, and into the footer – our newly created banner. The content section will consist of three columns: the one on the left with the picture, the middle and far right text with text. As you press Save, you will get the following new page at your website. 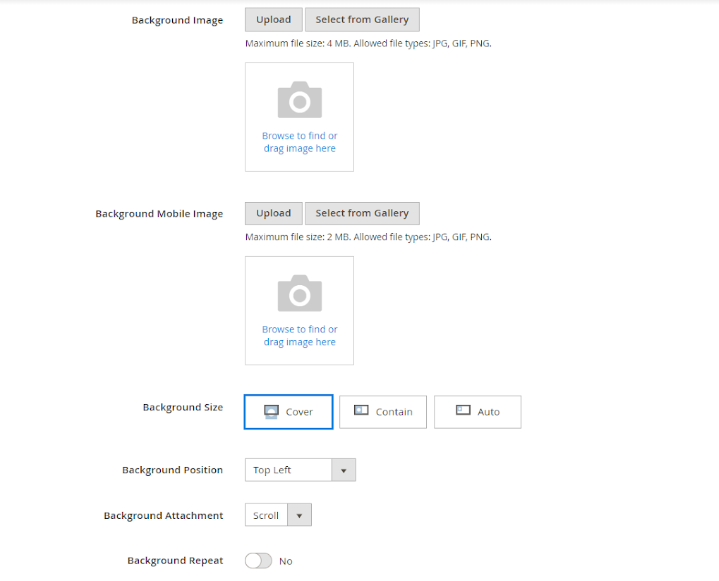 The article provided a comprehensive description of the new Page Builder tool, its functions, and capabilities. We strongly recommend every store owner implementing this tool in their admin panel.